**NOTE: We are currently at capacity for Family Fun Day. Anyone who signs up after June 4th will be put on a wait list. If spots open, we will contact you as soon as possible. Thank you. -Making Headway. For 25 years, Making Headway has hosted Family Fun Day for families that have had a child diagnosed with a brain or spinal cord tumor. Over 400 children and their families are invited for a day of free fun, music, and adventures. 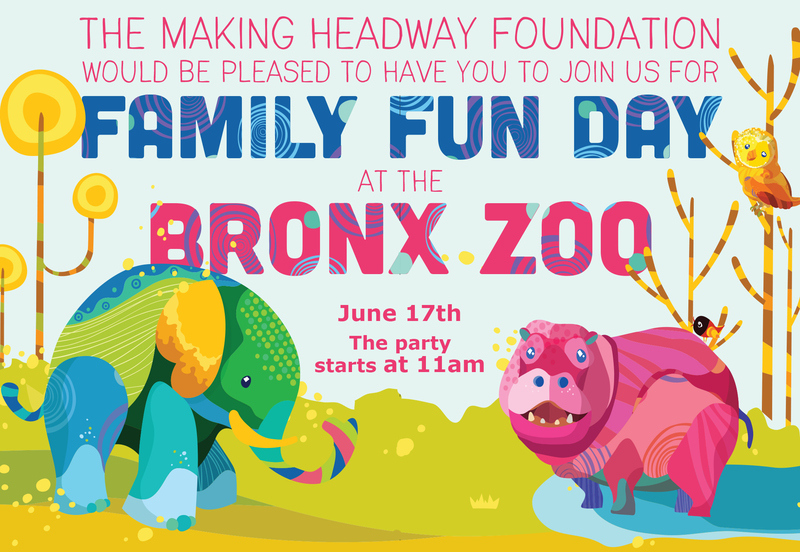 In 2018, Family Fun Day will be at the world-famous Bronx Zoo. This event will feature clowns, face-painters, games, art activities, build-a-bear, and so much more. Every guest will also get a VIP Zoo pass to enjoy after the party ends. 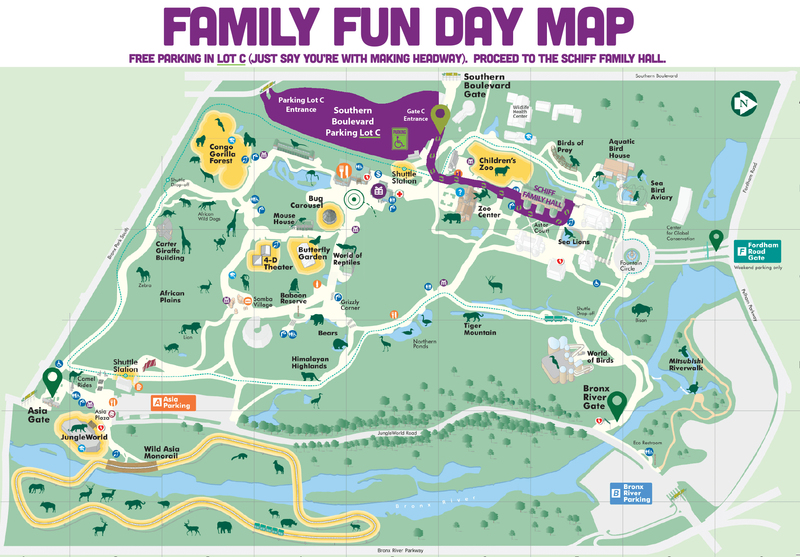 Registering for Family Fun Day is free and easy. Option 1: You can register online here. Option 2: You can register by emailing us at jennifer@makingheadway.org. Option 3: You can call us at 914-238-8384. Just ask for Jennifer or Caralyn. *Registration is required by June 3rd. Space is limited to mom, dad, and your children. Time: 11am–2pm: Making Headway Party & Lunch in the Schiff Family Great Hall. 10am–5pm: Enjoy the Bronx Zoo. would like to reserve a spot, make sure to let us know when you register. – For driving directions click here. Parking Lot C is the closest to Schiff Family Great Hall, and we highly recommend you park in this lot. Parking at this lot is free, just tell the gate attendant that you are with Making Headway. Parking in other lots is not free. There are a number of handicapped parking spaces at the front of Parking Lot C, very close to the entrance. Making Headway has also reserved additional handicapped parking spots at the front just for our guests.